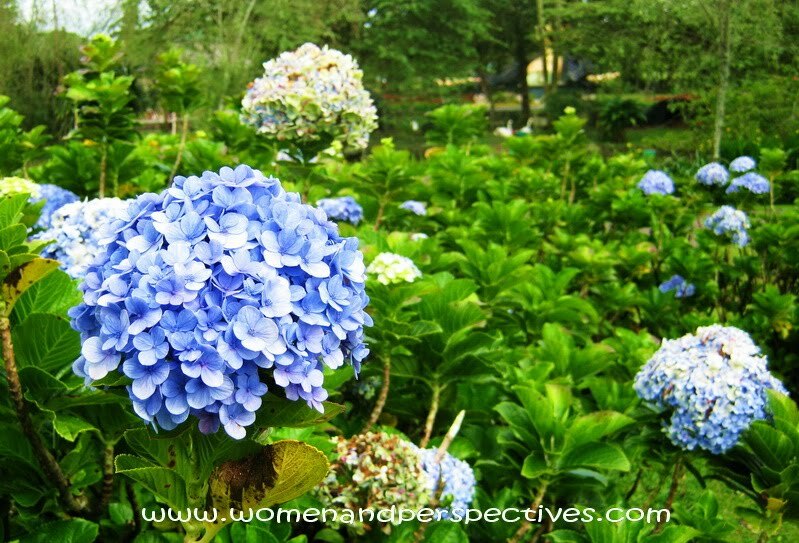 The common names are Hydrangea and Hortensia. In most species, the flowers are white. But in some species (particularly H. macrophylla), can be blue, red, pink, light purple or dark purple. I’ve just known from Wikipedia that in H. macrophylla species, the exact color often mirrors the pH of the soil; acidic soils produce blue flowers, neutral soils produce very pale cream petals and alkaline soils results in pink or purple. This is caused by a color change of the flower pigments in the presence of aluminium. Interesting fact, right? 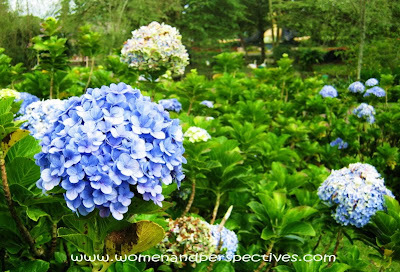 Inside Nusantara Flower Park (Cipanas, West Java, Indonesia), I can only see blue hortensia flowers. Wonderful, one of my favorite flowers. Thank you so much, dear Lina for sharing with us, desire all the best for you, Carlos from Brazil. They are so pretty! I love the different colours of these flowers. this is my second time seeing this flower today digitally..how i wish to see thm before my eyes..they are lovely! we used to have one like this from our previous place...I would love to plant one....very pretty! Love this flower so much. I have a few in the garden.